We are changing lives. You can help. Beach Dog Rescue of Costa Maya Mexico is a small rescue & sanctuary in a remote part of Mexico. Our mission is to help the homeless, abandoned, sick and abused dogs in our area. There are no shelters and very few resources for animals here. Dogs are born on the street to suffer and die alone. We are working to change that. My husband and I moved to Costa Maya Mexico a few years ago. 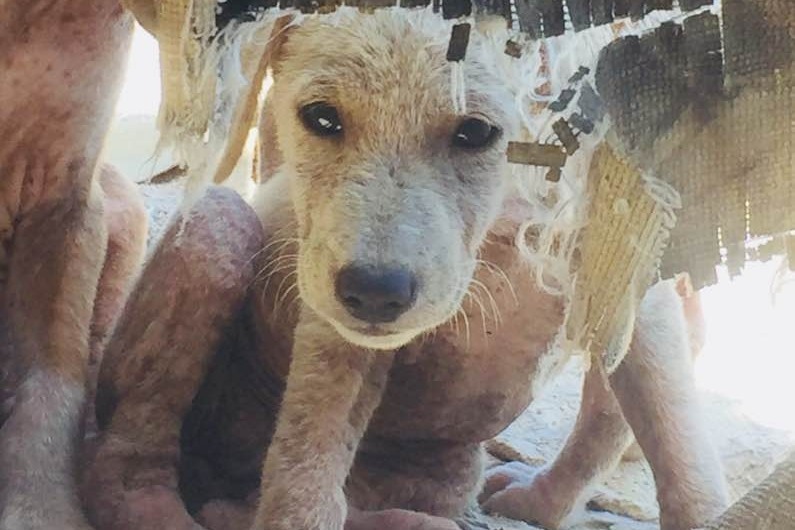 We didn't know we would start a rescue, but when we saw the sad reality street and beach dogs face, we knew we had to help. Since 2016 we have been taking dogs into our home. We spay & neuter, vaccinate, treat illnesses and nurse them to health. The most time-consuming thing for us is usually working to build their trust and faith in humans. Homeless dogs here are considered by most to be pests and many treat them with little to no kindness and sometimes outright cruelty. It is heartbreaking to see a dog cower in fear. It tells a very sad story. We are not set up as a shelter. Our house has dogs stuffed neatly into every corner. There are usually 20-30 dogs living with us. We have dogs in our living room, in our bathroom, in our bedroom. Our balcony and shower often serve as quarantine areas. It’s pure chaos and absolute bliss. These dogs deserve every bit of love and kindness we have. We are honored to help them on their journey to a better life. 13 gentle souls were too sick for this world. We have spayed/neutered 141 dogs. Some from the street. Some from owners who couldn’t afford it. We pay. We provide food and basic care to local’s dogs when we can afford it. The need here is so great, and this is just our beginning. We have big hopes and big dreams. Together we can change their world.